In mid September two Unalaska high school students had an exciting opportunity to work with “charismatic megafauna”—they were invited to help necropsy a dead northern fur seal. Members of the Unalaska National Ocean Sciences Bowl team, the students assisted Melissa Good as she trimmed biological samples from the carcass for a national marine mammal stranding program. The data can help determine cause of death, and reveal reasons for species decline and possible means for population recovery. 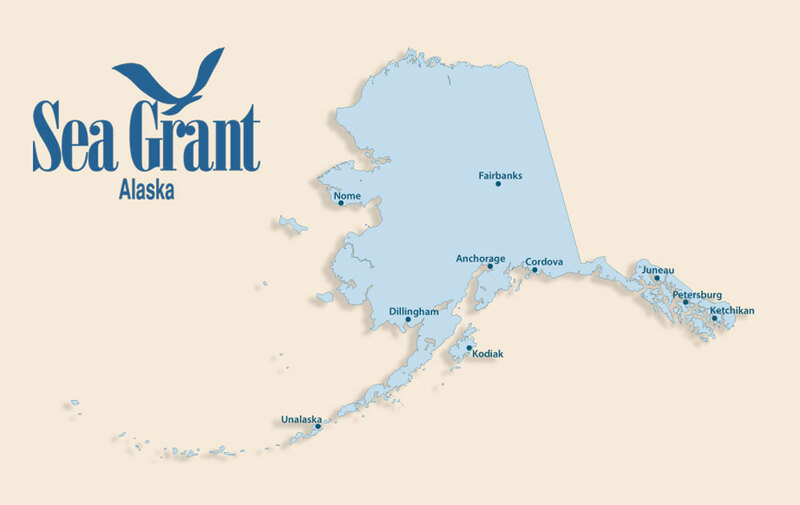 “Involving students in these strandings gives them a sense of place and belonging to the ecosystem and their community, and fosters stewardship for conserving the natural environment,” said Good, Alaska Sea Grant Marine Advisory agent in Unalaska. The student team will spend the next five months studying marine science to prepare for the Alaska competition in February, when they will participate in a quiz bowl and present a research project. As team coach, Good plans to do a lot of hands-on outdoor projects with the students this year. “Weather permitting, we will be collecting plates that I have set out for invasive species monitoring this Friday,” she said. The National Ocean Sciences Bowl encourages students to lean toward the sciences and gives them opportunities to experience hands-on science in the field, labs and classrooms. Each team will have different experiences prior to coming together, but they are all wholly engaged in ocean sciences by the start of the competition, said Good.